ATLANTA, GA–(OTC Markets – October 24, 2018) – Light Media (OTC MARKETS: LGMH), Inspirational Media Specialist, announced today that in addition to AM 1430, serving the Top 10 Nielsen-rated Atlanta Market (covering a population count of 2.6 million or 57% of metro Atlanta) that the company has also now launched: Power 105.5 FM. 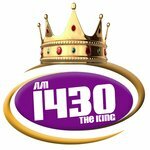 About AM 1430/Power 105.5 FM: Serving the Top 10 major metropolitan statistical area (Atlanta — Ranked #8 with 5.5 million residents), AM 1430/Power 105.5 FM’s focus is on the 14-44 demographic via an eclectic mix of music, talk and teaching programs that uplift, inspire and enlighten. For more information and to listen live now, tune your radio dial to 105.5 FM/AM 1430, or online, in your car on on your mobile device worldwide 24/7 via: TuneIn at: https://tunein.com/radio/Power-1055-FM-The-King-s296667/ ; or at: https://tunein.com/radio/AM-1430-The-King-s296667/ — For more information or to listen live also, please visit: www.1055TheKing.com or www.AM1430TheKing.com. Cautionary Note Regarding Forward-Looking Statements: This press release contains statements, which may constitute “forward-looking statements” within the meaning of the Securities Act of 1933 and the Securities Exchange Act of 1934, as amended by the Private Securities Litigation Reform Act of 1995. Those statements include statements regarding the intent, belief or current expectations of Light Media (OTC PINK: LGMH) and members of its management as well as the assumptions on which such statements are based. Prospective investors are cautioned that any such forward-looking statements are not guarantees of future performance and involve risks and uncertainties, and that actual results may differ materially from those contemplated by such forward-looking statements. About GospelCity.com: GospelCity.com, Powered By GospelEngine.com since 1998, is the world’s leading platform for independent gospel musicians to market and promote their music ministry worldwide 24/7. For more information, please visit: http://www.GospelCity.com.